Any military spouse can tell you that the retail therapy level during a deployment rises. Try pregnant-in-a-foreign-country retail therapy level…my poor husband or shall I say, our poor bank account! 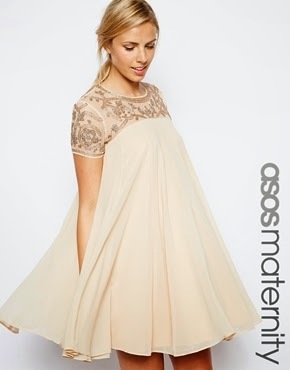 With my 'Sprinkle' baby shower and deployment homecoming in the near future, I turned to my fave source for maternity clothes- ASOS! They ship to APO (yay!) but this time I actually bought it in British Pounds- exchange rate be damned! Because they ship for FREE. NEXT DAY. To my actual house in the UK instead of waiting 2 weeks for it arrive on base to our APO box.